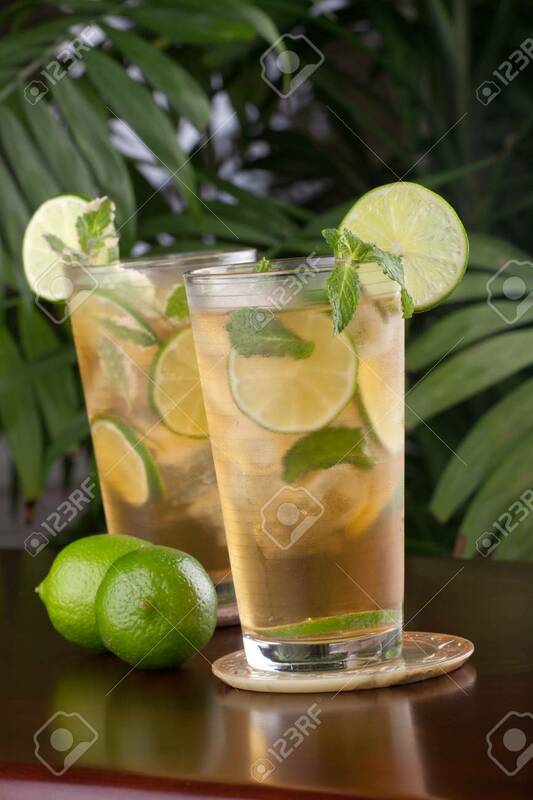 Two Glasses Of Lime And Mint Iced Tea Garnished With Lime And.. Stock Photo, Picture And Royalty Free Image. Image 9531519. Stock Photo - Two glasses of lime and mint iced tea garnished with lime and mint on a table in a restaurant on a tropical beach. Two glasses of lime and mint iced tea garnished with lime and mint on a table in a restaurant on a tropical beach.